Regeneration work across the North of England will continue to gather pace in 2017, despite the uncertainty of Brexit, according to leading structural engineering specialist TRP Consulting. The practice, which has offices in Manchester and Preston, is working on major construction and regeneration projects across the region, and sees no sign of the momentum slowing. However, TRP Consulting Director Tim Royle says it is important that the Northern Powerhouse rhetoric is now put into action to increase that momentum. He said: “Uncertainty has been the buzzword since the Brexit vote and in a way we head into 2017 with plenty of unknowns ahead. “However, there are encouraging signs that the regeneration work we have seen in the North will continue to gather pace, and not just in the big metropolitan areas. “There are major projects moving off the drawing board and on-site in towns across the whole of the North, which is great to see. “We are working on a number of developing projects in the hospitality sector, which underlines the confidence that continues to grow and the belief in strong, deliverable regeneration schemes that can deliver economic benefits. “In Lancashire we will continue to see the development of the emerging Samlesbury Aerospace Enterprise Zone in 2017, a project which is set to generate more than 10,000 new high value jobs. He added: “The government’s commitment to infrastructure and the positive noises made by the Chancellor in his Autumn Statement in regard to the Northern Powerhouse were welcome. “It was also pleasing to hear him talk positively about the Northern Powerhouse and the growing need to close the productivity gap that exists between London and the North of England. Now we need some action. TRP Consulting specialises in providing civil, structural and environmental engineering consultancy services. Its structural engineers have a strong track record of delivery on large and complex building works and have widespread expertise in sectors ranging from defence to health and sports stadia development. TRP Consulting provides a full range of civil, structural and environmental engineering consultancy services – providing a broad knowledge base and promoting a proactive approach to project delivery. The practice was established in November 2000 and has demonstrated the ability to deliver high quality consultancy services on major projects in both the public and private sectors. 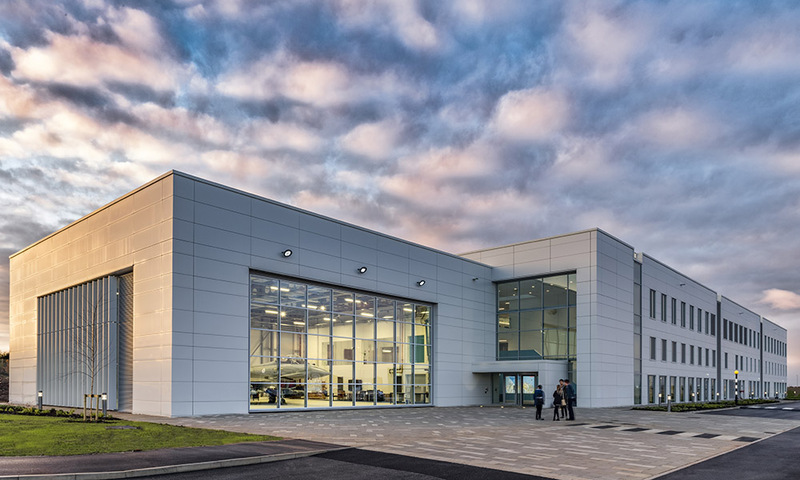 Its engineering expertise was utilised in the construction of BAE System’s impressive new £15.6m training academy – the largest investment in skills in the UK’s aerospace sector. TRP’s expert team worked on the structural development of the project from conception to completion. It is also working as structural engineer on a new Defence Logistics Centre, which is also sited on the emerging Enterprise Zone.